The Girl's Beverly Youth town teams play in the Mass. 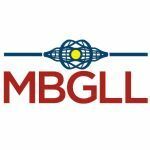 Bay Girls Lacrosse League (MBGLL). Practice is held two days per week and our games are held on Sundays typically in the afternoon. Players that regularly participate in the weekly practices can expect roughly equal playing time in games. If teams have large rosters, players that do not participate in the weekly practices may see their playing time reduced. Please respect the time put in by teammates and coaches. BGYL is run by trained, volunteer coaches and is a recreational program. The coaches primary focus is on skill developement and having fun. Please see the above F.A.Q., Coaches, & Code of Conduct tabs for more details.